Varnish comes in gloss, satin or matte finish. The varnish will protect the painting from dust, UV rays and yellowing. Plus it adds a layer of shine that somehow, almost as if by magic, pulls the whole painting together and makes it look even more amazing, bringing out the gorgeous vibrancy of the colors. 1.Milk white. It`s transparent and glossy after dry. 2.Can enhance the transparency and luster of colors when mixed with the Acrylic Color. 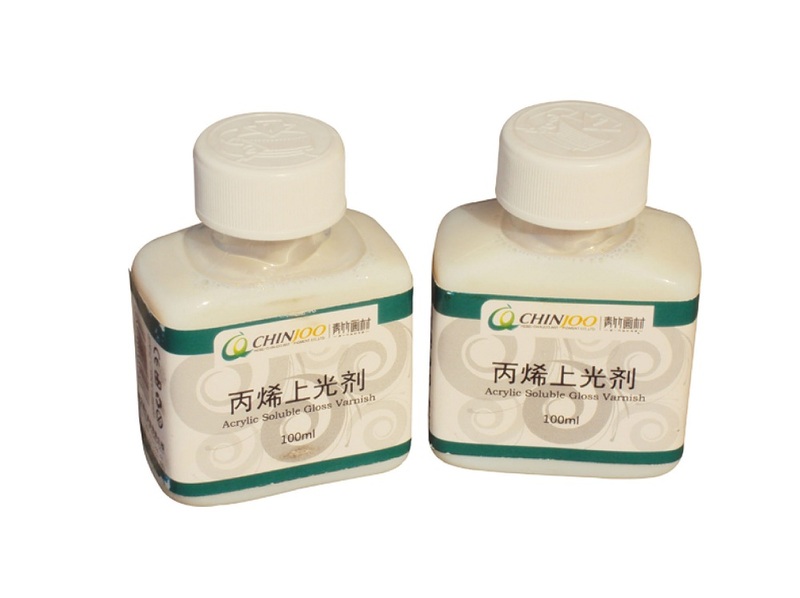 3.Ca strengthen the adhesive power and consistency of colors when it`s used to diluted the colors. 1.Glossy varnishes are used to protect the finished painting and to keep the original color of the painting. 2.Help to make your paining works more transparent and perfect. (1)Do not apply until the painting has been dry at least six months. Picture varnishes should be removable so that paintings can be cleaned when they have become dry. (2)If necessary remove any dust from the surface of the painting with a soft duster. (3)Firstly to coat the paitning up and down, then right and left. Do not recoat, brush evenly. (4)Place the apinting in a horizontal position and avoid the dust. Looking for ideal Acrylic Glossy Varnish Manufacturer & supplier ? We have a wide selection at great prices to help you get creative. All the Glossy Varnish for Acrylic are quality guaranteed. We are China Origin Factory of Acrylic Glossy Varnish for Artist. If you have any question, please feel free to contact us.